We have had an exciting few months in the BioArch Research Group as we planned, and received funding for, our Isotope Investigators Summer School! The Summer School will be held from Monday the 27th June to Friday the 1st July. We will learn all about archaeological applications of isotope geochemistry from experts in the field at the University of Nottingham and the NERC Isotope Geoscience Facility, British Geological Survey. Afterwards, we hope to use our new skills in future research, particularly with our important 3rd year dissertations coming up. The application of isotope geochemistry is a growing field in archaeological science but it is a difficult technique to fit into the constraints of the term-time timetable. 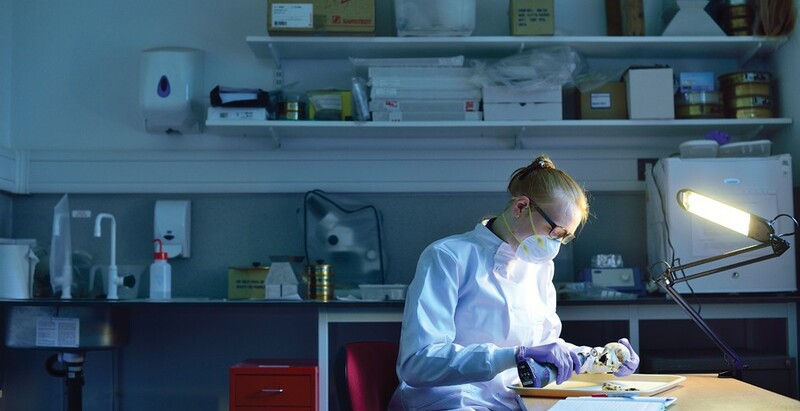 By applying to The University of Nottingham’s Cascade Fund and the Department of Archaeology’s Next Generation Fund, we have been able to cover the cost of materials for the labs and fund 10 residential places on the Summer School. Places on the Summer School are open to Undergraduate Archaeology students from any department. Through this, we hope to develop a community of diverse, international Researchers-in-Training. We will have the opportunity to work in a research-led teaching environment on samples from the high-profile site of Fishbourne Roman Palace and, by the end of the Summer School, we will have the chance to contribute to the publication of the results as authors on a resulting peer-reviewed article. The Cascade grant has been instrumental in allowing our initiative to go ahead. Thanks to the funding we are looking forward to conducting the research, hosting students from different institutions and having the chance to learn something completely new. The Summer School will have a huge impact on our university experience. We relish the opportunity to work with experts in our field on exciting archaeological material, learning techniques and methods in a real world environment that will prepare us for future research and employment. We can’t wait for the summer to meet our fellow students and get to grips with this exciting research opportunity.